LASSIE'S NANNY provides holiday care in addition to daily and vacation care at no additional charge except for July 3rd through 5th and December 31st through January 1st. A slight additional charge is added to those days due to the increased number of people who drink and drive. Animals other than dogs and cats will receive the same dedicated services suited to their individual needs. Reptiles will be better served if a business specifically for reptiles is contacted. 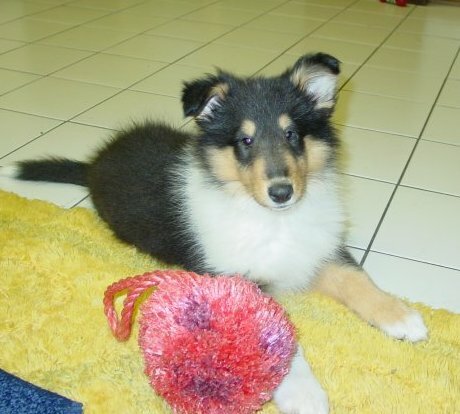 LASSIE'S NANNY comes to your home to provide care for your dog or cat. This type of care keeps your animal within its own healthy, familiar environment. For DOGS, I will walk your dog, if it is accustomed to exercising on a leash. After the walk, I will return home to spend time playing. I will dispense required medication according to the instructions provided. Fresh water is always given during each visit. Dog litter will be disposed of according to your specifications. For CATS, I will play with your cat. The litter will be cleaned and disposed of per your instructions. Your feeding and medication instructions will be followed. Fresh water is provided during each visit. Much conversation occurs between my clients and me, especially cats, since cats are often withdrawn around strangers. LASSIE'S NANNY responds with talking rather than forcing physical attention upon felines. If a cat does not want to be petted, scratched, or touched, I am more than willing to accommodate. Each visit lasts 30 to 35 minutes. The care provided is guided by the answers you provide on a LASSIE'S NANNY service instruction sheet. This is a two-page form each client is required to complete to insure that I provide attention as close to the care and attention that you provide. 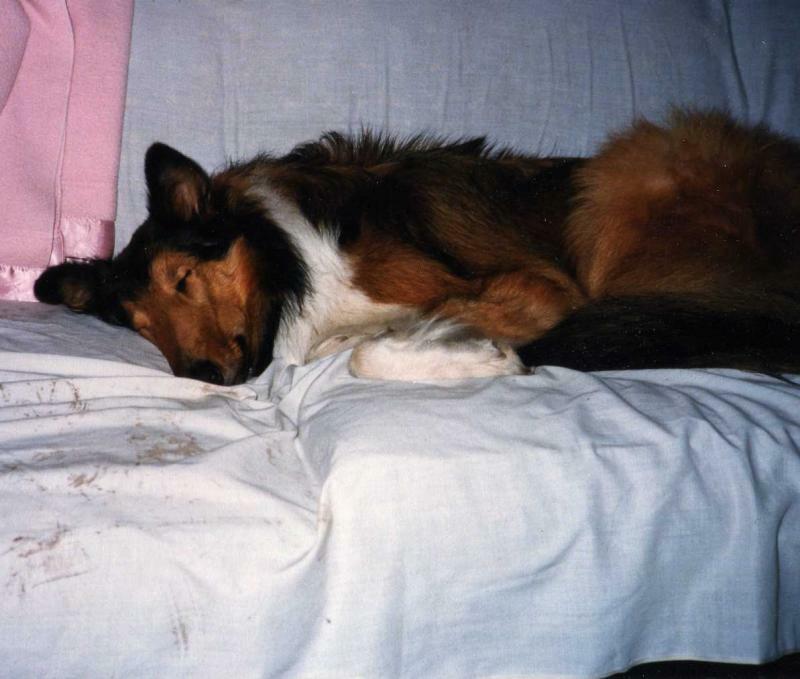 LASSIE'S NANNY will bring in your mail, open and close curtains, and leave lights on. These tasks are included within the basic care. Other types of duties can be negotiated. I will water plants for no additional charge if there is a reasonable number of plants. Plant watering for many plants can be done for an additional cost. 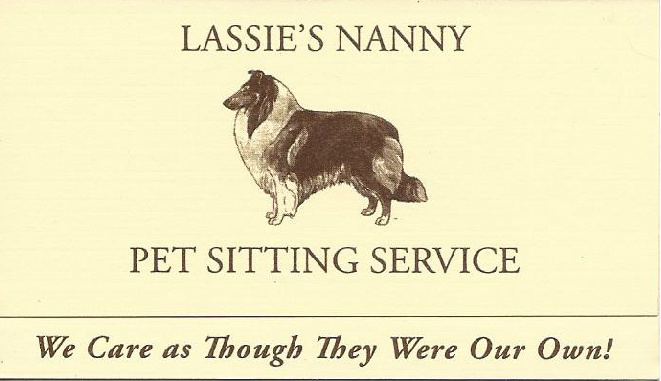 Overnight service is available from LASSIE'S NANNY. I come to your home to stay overnight. I use your home as I would my own. Curtains are opened in the morning and closed at night. Lights are turned off and on. The phone is answered, if so indicated. I use your home as my starting and ending point each day. Because I have other clients to care for, as well as my own animals, I will come and go throughout the day to complete necessary errands and address other client's needs. Clients are required to provide a bed and clean linens. The same loving care and attention is given to your pets as outlined above under Daily Care. Copyright 2012 Lassie's Nanny. All rights reserved.